The G Pen vaporizer is manufactured by Grenco Science and designed for use with oils ranging from thin to thick viscosity. It is comprised of a one button battery, threaded oil tank and tank cover with a mouthpiece. The liquid is contained within the tank where a heating element is located to provide rapid heat for vaporization. Originally Grenco Science offered one style of tank that utilized a small piece of cotton to wick the oil up to the heat source. The tank has been redesigned a few different times, but the first version is still available and the most affordable. 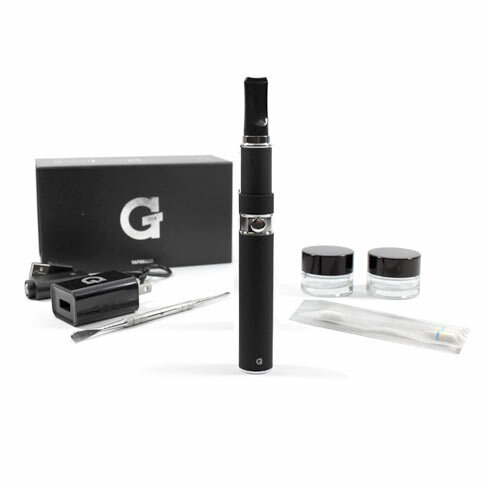 The G Pen kit comes with a detailed instruction manual in the box that is very helpful for understanding all of the components included. The battery connects to the threaded USB charger that can be used with any computer or plugged directly into the wall using the included adapter. For loading the essential oil tank up with concentrates, there is a metal pick that looks like something out of a dental office called the G Tool. This can be used along with the glass containers that are intended for storing additional concentrates. Everything comes well packaged and sealed up nicely in a very solid case that can be used to hold the G Pen when not in use. HOW LONG SHOULD I HOLD THE BUTTON DOWN? This can depend a lot on the style of concentrate that is being vaporized by the G Pen. Thinner oils will vaporize much quicker than the thicker waxy variety and this will need to be taken into account when holding the button. A good length of time is generally three to five seconds, while slowly drawing on the mouthpiece. The G Pen will automatically shut off and the light will flash five times if the button is held for too long; roughly ten seconds. This is a safety measure to ensure that the tank does not overheat and burn out quickly as a result. Remember that each concentrate is slightly different and when loading it into the G Tank for the first time play around with the button to find the best vapor production. Luckily when it comes to recharging the G Pen battery it is not a guessing game. The light in the G Pen battery will provide a flashing signal to notify the user that it is time to recharge. Eight flashes of the light means the battery is dead and will no longer vaporize. Connect the G Pen to the included charger and the light will illuminate red when the battery is drained. The red light switches to show green, this indicates that the battery has been charged and is ready for use. If the charger light remains green even though the battery has flashed eight times, there may be an issue and it is a good call to contact Grenco Science directly. The G Pen battery may show up with a full charge out of the box, but it is always smart to connect it to the charger initially. Once the unit is charged up and ready to vaporize, it will provide roughly 300 to 400 puffs. This can vary depending on how long the battery is held down for each draw. The oil or concentrate being used will also play into the battery life, as the thicker style will require the button be pressed for a longer period of time for full vaporization. Fully expelling the charge from the battery prior to recharging will lengthen the life of it. HOW DO I CLEAN MY G PEN? As with all vaporizers, the G Pen will require some cleaning to ensure a long life with optimal performance. A very crucial portion to clean on the pen is the area where the tank connects to the battery. Any excess oil that builds up in this space can lead to a disestablished connection between the tank and battery. Soak a Q-tip in some isopropyl alcohol and use it to gently remove the built up residue from the battery. Do NOT soak the tank in the alcohol or cleaning solutions, as this can outright ruin it. IS THE G PEN INTERCHANGEABLE WITH OTHER PEN VAPES? No, the G Pen vaporizer tanks and battery are not compatible with any other vapes available. Grenco Science has a proprietary threading that they hold confidential and will not share even after multiple requests. The threading used does not match up with the 510 style that most pen vaporizers utilize. Though they cannot be used with other pens, the wide selection of tanks available through Grenco Science are interchangeable. If one has an essential oil G Pen and wants to use their new dry herb attachment, it can easily be screwed onto their current battery for use. 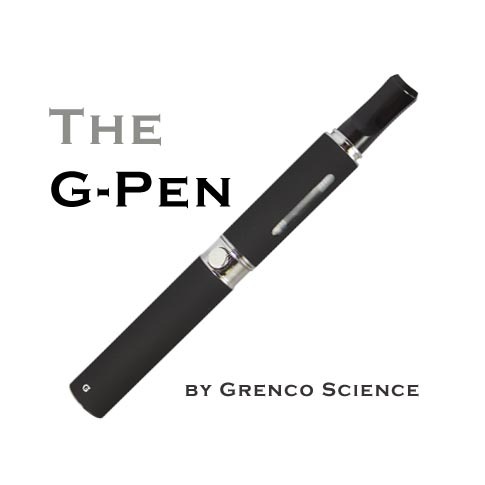 When it comes to pen style vaporizers, Grenco Science has become a well-known name. They can be considered the standard in quality, both the unit itself and the packaging that holds it. Right out of the box the instructions are informative and helpful in understanding the vaporizer. It charges up quickly and lasts long enough to vaporizer nearly two grams of oil concentrate. The G Tool is a convenient addition for easily loading up the tank. When it comes to vaporizing essential oils, the G Pen is a good option for getting large hits of vapor. You can purchase the G-Pen from this trusted retailer. The G-Pen by Grenco Science is a solid contender in a sea of off-brand unreliable pen-style vaporizers. It’s made more solidly than a lot of other pen-style vaporizers available. The downsides are similar to those of any other pen-style vaporizer: It’s a little tough to get used to and it’s difficult to clean. So i have purchased two at the local gas station and both were burned out second time around the table. Maybe a refund from the company.